Wine is produced in all 50 of the United States, so you are probably sitting near a vineyard right now. 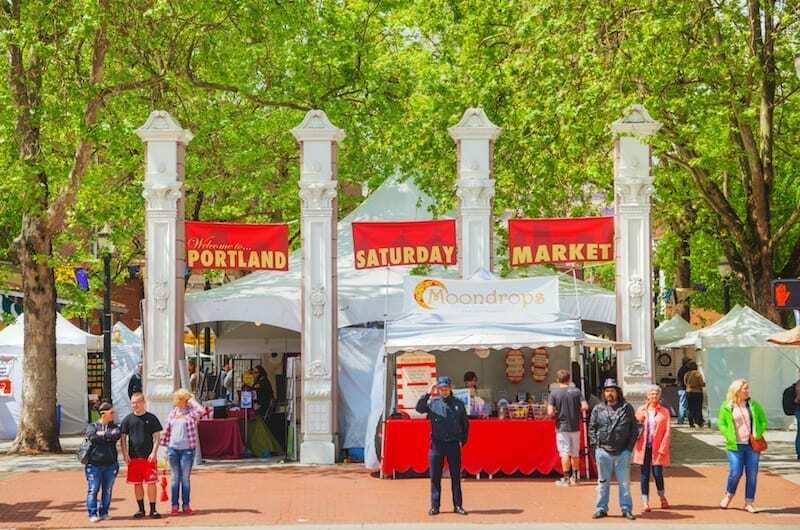 If not, use this guide to plan a wine-flavored romantic vacation or girl’s getaway in one of these top U.S. cities for wine lovers. In some ways, the hill country of Texas resembles the wine growing regions of central Italy. Restaurants in Fredericksburg join up with the wineries to offer unique events like “Port and Pairings,” but the nearby wineries are also open for tastings by appointment. Explore: The Fredericksburg Wine Road 290 winds through hill country and takes you through the local wineries. Fredericksburg is a treat in itself, with bed and breakfast inns, great restaurants and a historic Main Street. 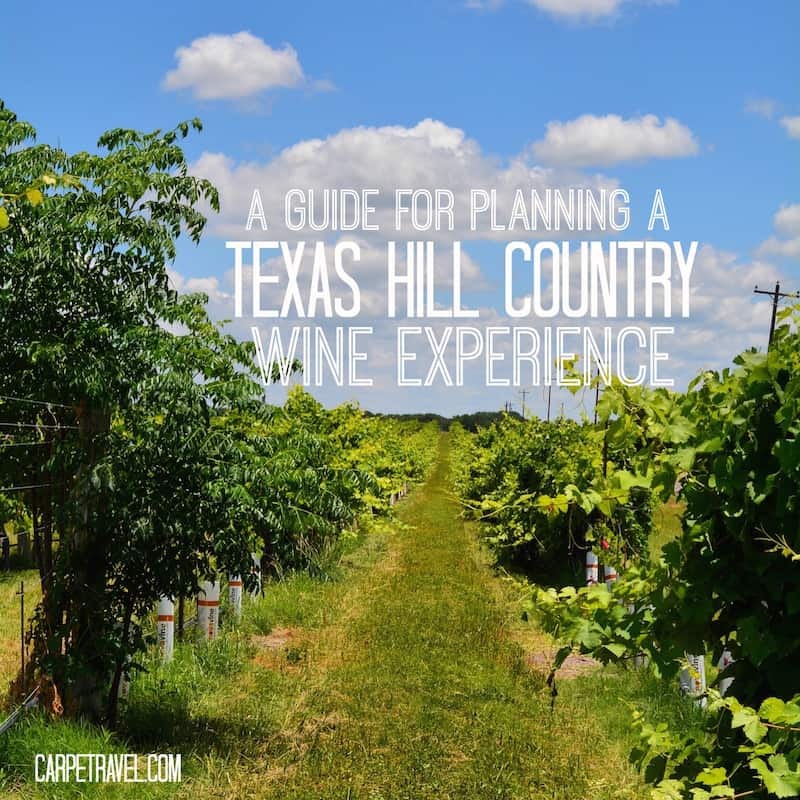 Want to plan a Texas wine trip, see Carpe Travel’s guide. Traverse City is one of the friendliest cities in the country, and its wineries and restaurants welcome visitors with food pairings, wine bars and farm-to-table cuisine. Grapes are grown in sight of Lake Michigan on the Leelanau and Old Mission peninsulas. Chardonnay and Pinot Gris are local favorites. Explore: If you can, stay at the luxury inn at Black Star Farms Winery. It features a stable, urban tasting rooms and a historic village. Located at the same latitude as the wine regions of Bordeaux and Burgundy, the wineries of the Columbia River Valley are famous for the award-winning Cabernet Sauvignon. During growing season, these vineyards get more sun than Napa Valley, contributing to the intense flavors of the grapes. Explore: The city of Yakima is where you’ll begin the wine tour, but the growing region is east of the city bordered by the mighty Columbia River. Yes, really. Anchorage is at the northern edge of Alaska Wine Country, but these aren’t generally grape wines. Alaska makes incredibly tasty berry wines like strawberry, raspberry and rhubarb. The wineries are scattered along the peninsula southwest of Anchorage and on Kodiak Island. Explore: The wineries sound wild and primitive: Bear Creek, Denali, Ring of Fire. Berry wine tasting is a great excuse to visit Alaska, which you should do anyway. You’ve likely never heard of Augusta, Missouri, but it’s situated in the low hills surrounding the Missouri River, west of St. Louis. Some of the finest wines in the Midwest are produced here, and “Historic Missouri Wine Country” has its own visitors’ bureau, inviting guests to explore by bike, car or foot. Explore: Find a cozy bed and breakfast inn and head for the Montelle Winery, Balducci’s Vineyard and Restaurant, or Mount Pleasant Estates for a sip or two. 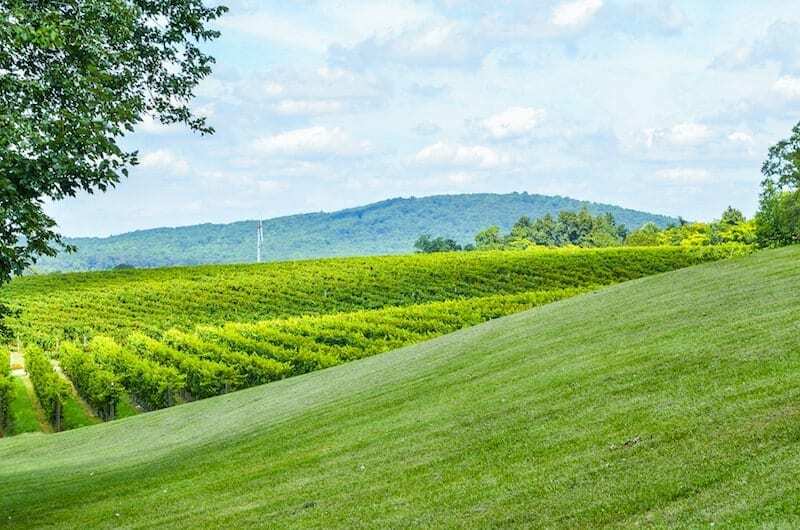 Loudoun County, Virginia, is known as Washington D.C.’s wine country, with more than 40 wineries and tasting rooms along country roads. The award-winning wines are blends of Chardonnay, Cabernet Franc, Cabernet Sauvignon, and a native Virginia grape called Norton. 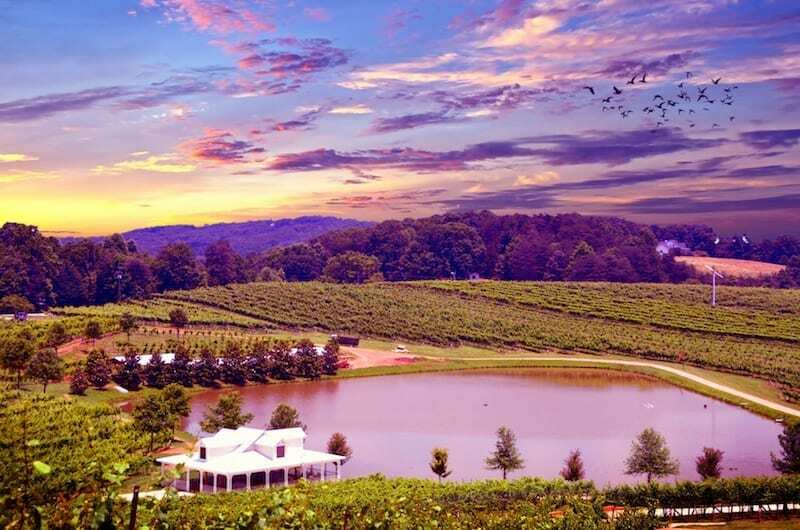 Explore: The Loudoun Wine Trail features 40 wineries grouped into 6 clusters. 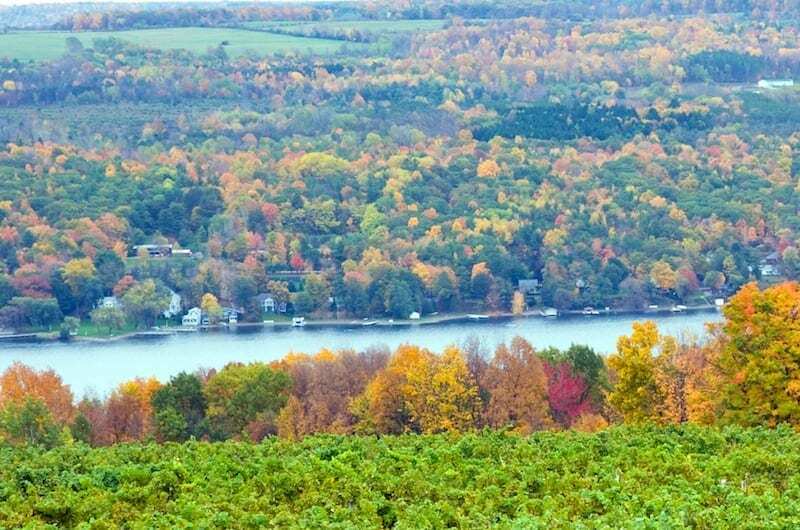 More than 100 wineries in the Finger Lakes region grow Chardonnay, Riesling and Cabernet Franc grapes along with native varieties. Beginning in the 1860s, the original vineyard owners used native rootstock grafted with European grape vines to create a hardy plant that could thrive in the cold climate. Explore: The Seneca Lake Wine Trail starts at the north end of the lake in Geneva and winds around the perimeter with more than 30 member wineries serving wine – and mead. Try it! Santa Barbara is on the Pacific coast, and within the downtown area there are wineries and tasting rooms featuring a variety of California-grown wines. The beach, the shopping, cool California cuisine, hip California hotels – it’s all here. You should be here, too. Explore: Take an urban wine tour and taste the wines of the Santa Ynez Wine Valley without leaving city limits. You’ll find more than 20 tasting rooms, many within walking distance of the beach. Don’t do all 20 in one day. The Willamette Valley, with more than 500 vineyards, was named 2016 Wine Region of the Year by Wine Enthusiast Magazine. The region is known for its Pinot Noir, grown on lush hillsides in the shadows of the Cascade Mountains. This is a huge and scenic area, stretching from Portland south to Eugene along Interstate 5. Explore: With inviting bed and breakfast inns tucked in the hills, this wine trail can be a multi-day journey of wine tastings, biking and hiking trails, and indescribable beauty. It’s no surprise that California has two entries in this list. The state produces 90% of domestic wines. The Sonoma Valley area north of San Francisco produces some of the world’s best Chardonnay and Pinot Noir grapes, partly due to the cool ocean breezes and fog from the Pacific. These grapes are often “exported” to Napa Valley wineries to the south. Explore: The Wine Road provides a tour of wineries in the Alexander, Dry Creek, and Russian River valleys. 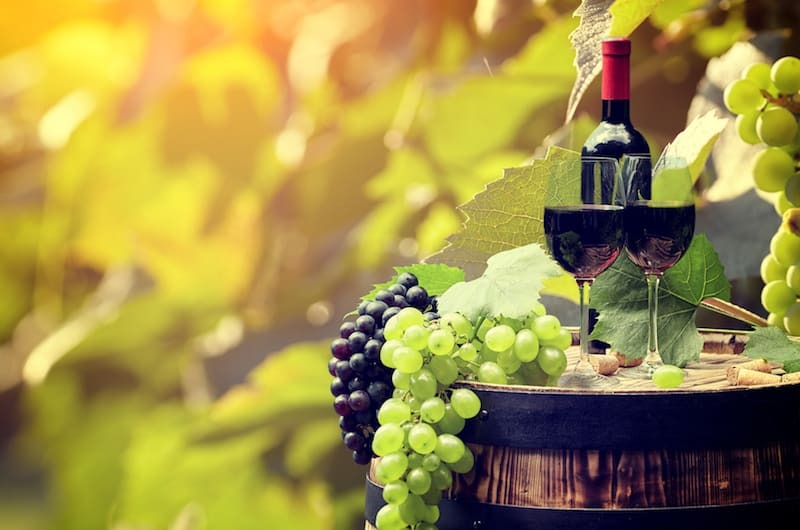 Have you explored any of these wine regions? What did you think? Let us know in the comments. About the Contributing Writer: Kay Harrison is an avid traveler and sailor. She writes articles and develops content for Dunhill Travel Deals. Visit the site for travel inspiration and exclusive cruise, hotel, and vacation deals. Follow them on Facebook @DunhillTravelDeals, on Twitter @DunhillDeals, or sign up to get the best deals via email. Good to know, thanks! Where is Livermore located and what are some of the varietals the area is producing well? Yeah, for sure! Livermore is about an hour east of San Fran and the closest Bart station is Dublin/Pleasanton. I’d recommend a car for getting there though or if you’re in the area, bike around the vineyards – there’s a gorgeous route that takes you within 3 feet of vines on either side! Have you tried New Mexico wines? Very similar to Italy a well…. You won’t be disappointed..
Actually, I have. I agree, there are some good wines from New Mexico.